Been on a relaxing/crazy tour for the past week and half. Been in Miami, Fort Lauderdale, and Atlanta. 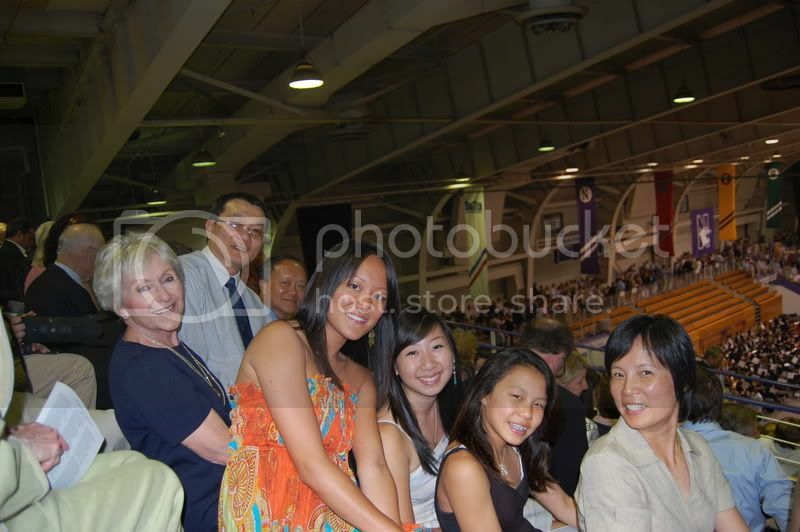 Then drove up to Chicago with my dad for my 2nd cousin's graduation from New Trier high school. We took Papa's Honda Civic hybrid and got 44 miles to the gallon. It's nice knowing that our round trip cost us only $135 in gas even at $4 a gallon. Thank goodness for hybrid vehicles. Now if only there was a nice hybrid SUV hitting the market soon, I would be game for the purchase of a new car. While in Chicago, I thoroughly enjoyed time with family. It's amazing how quickly time flies and how much you can miss being around loved ones. At Northwestern Ryan Stadium, where 1000 New Trier students graduated. 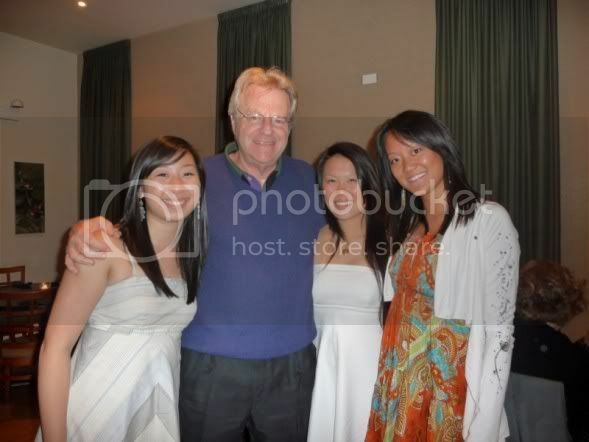 And yes, that is Jerry Springer with us. He was sitting at the table next to us at Koi in Evanston. My cousin Cindy texted one of her friends, to which they responded, "Maybe you should take off their shirt and punch somebody." Of course we were cracking up. Mr. Springer was super nice and even made sure to come by our table to say congratulations and goodbye before he left. My fortune cookie that night read: A bold and dashing adventure is soon in your future. Excited for the possibilities as it includes many fun trips for the summer, as well as this amazing treat, just in time for a gift to myself for my 30th birthday (which isn't until October).